The Yukawa sector of the Standard Model triggers simultaneously fermion mass generation and the breaking of a large number of Flavour Symmetries present in the other sectors of the SM. The discovery of the Higgs boson, the measuring of its coupling to fermions and the plethora of low energy flavour data are in general compatible with the SM expectations. Nevertheless there is ample room for the presence of New Physics. LHC Run II is enlarging our NP parameter space knowledge both looking at the energy and at the intensity frontier. We can take advantage of these different approaches to the flavour problem by joining together experts from the theoretical and experimental communities to review the status of this research field. LHC run II new data should be scrutinized altogether. - New Physics production at colliders: its relation to flavour. - CP violation and Baryogenesis. Andre David, Margarida Rebelo, Luca Fiorini, Jose I. Illana, Aurelio Juste, Paco del Aguila, Antonio Onofre, Miguel Nebot, Federico Mescia , Fernando Martinez-Vidal, Nejc Kosnik, Bernat Capdevila, Mario Martinez, Siannah Peñaranda, Aracadi Santamaría, Olivier Deschamps, Louis Henry, Juan J. Saborido, Patrick Owen, Javier Fuentes Martin and Luca Scodellaro. 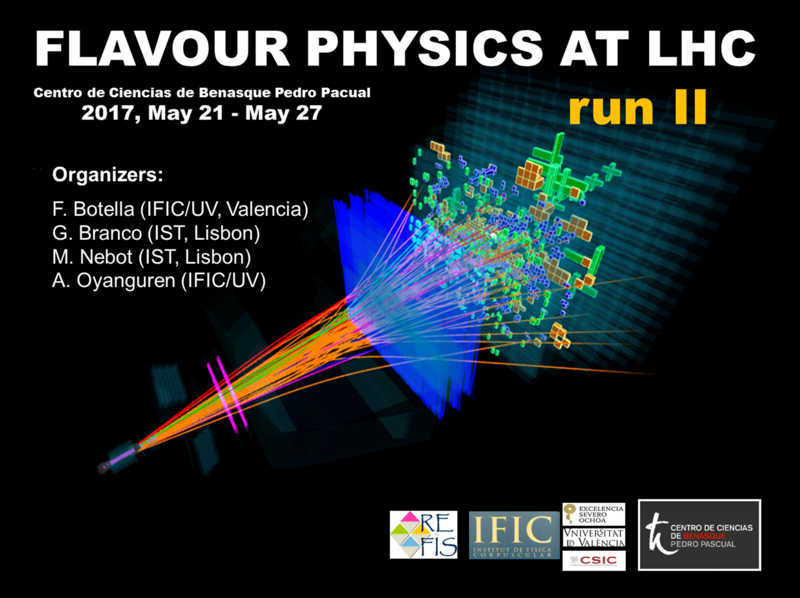 The workshop will take place at the Centro de Ciencias de Benasque Pedro Pascual, located in Benasque (Spain), between May 21 and 27, 2017. Benasque is a beautiful village with a famous ski resort, located in the heart of the Pyrenees, close to the Spanish border with France. In addition to the auditorium, the Center offers desk space, ubiquitous black boards and several meeting areas. To ensure a productive workshop, attendance will be limited to a maximum of 70 participants. In addition, the meeting agenda will be kept light, leaving plenty of time for discussion among participants. Members of the Spanish Flavor Network (REFIS) are encouraged to attend this workshop.